When over 1,000 parents were polled about children’s athletics, 16% of them said that they refused to allow their kids to play sports due to worries over concussions. According to the study, a Harris Poll conducted on behalf of the American Osteopathic Association, a third of the remaining parents were on the fence, saying it depended on the sport. As parents, we want to feel proud of our kids, and to see them play hard…but maybe you still feel a surge of fear when your kid is tackled on the field. In recent years, we’ve seen a lot of concern from the media on the subject of concussions, and the dangers of athletics in general. And for moms and dads who just want the best for their kids, this can cause a lot of worry and confusion. Unfortunately, all this panic drives some of us to keep our kids out of athletics altogether, or some sports in particular. But do the benefits of sports participation outweigh the risk of potential danger? Should we still be encouraging kids to participate in their favorite sports? In the past, the professional sports industry downplayed the severity of head injuries, but concussions aren’t something to take lightly—and we’re more aware of it than ever. A concussion is a type of traumatic brain injury that happens when a person is hit on the head, or even on the body, in a way that causes the brain to move back and forth inside the skull. This can create chemical changes, bruising, or even damaged brain cells. These injuries are rarely life-threatening and may be more common than we realize: the CDC estimates that up to 3.8 million concussions happen per year in the U.S. through sports and recreational activities. But in general, children are incredibly resilient. They can often recover from concussions with a few days of physical and mental rest. However, young athletes should always wait until they see a doctor and pass a physical exam before returning to sports. It’s no secret that sports are part of a healthy lifestyle for children, but the benefits of athletics really do outweigh the risk of potential injury. Sports are a great way to help children exercise, especially in a world where kids are getting their hands on tablets and video games at younger ages than ever before. It’s important for parents to keep them active, fending off future problems associated with sedentary lifestyles, like obesity and diabetes. And physically, sports can improve children’s cardiovascular health, lower blood pressure, and even strengthen the immune system. What’s more, sports are a great way for children to strengthen their minds as well. Athletics require discipline and practice, and children also need to develop keen skills in teamwork and communication in order to succeed. Obviously, parents should be thoughtful about entering their children into sports—but they shouldn’t discourage children from playing altogether. 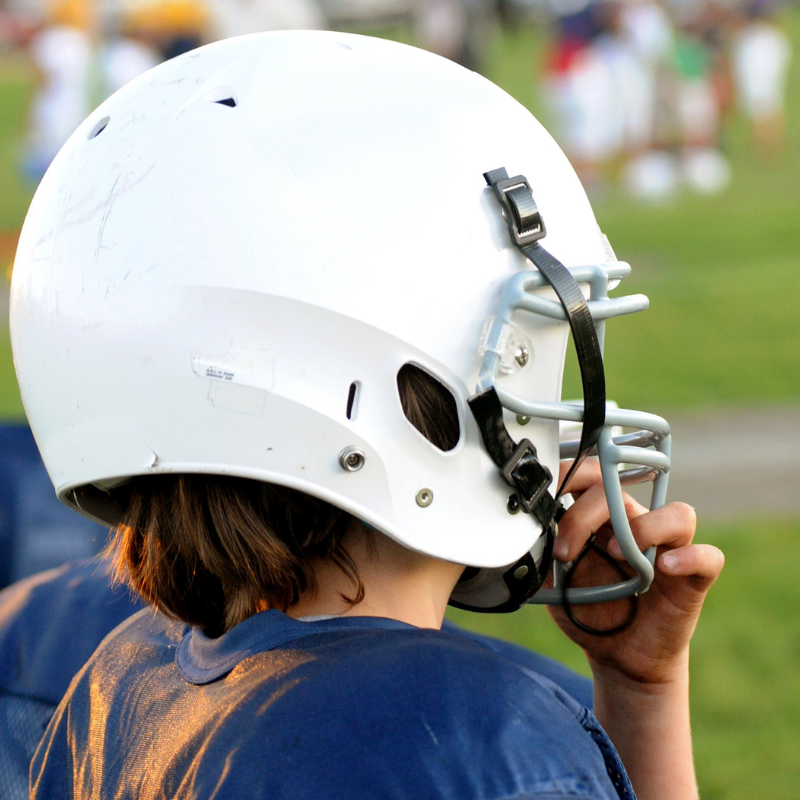 Schools and teams have gotten serious about concussion prevention in recent years, putting the health of their young athletes first. So parents, let your kids play sports, but be smart about it. Make sure your child’s team is a good fit in order to minimize any risk of injury. Your child’s coaches should be trained in concussion knowledge and protocol, and they should in turn train their student athletes well. Incidental contact will happen in most sports, but kids need to be taught the proper skills so they can move correctly, breaking their falls and learning to collide safely. Head-on contact shouldn’t be overemphasized, and children should have the right gear at all times. As long as you feel confident in the environment, and your child is physically and mentally prepared for athletics, there’s no reason your young athlete shouldn’t enjoy the sport they love.